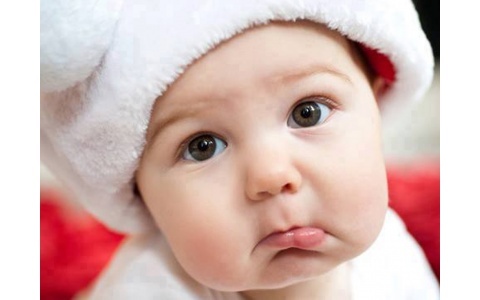 Decoding the cry of a baby can sometimes be an extremely arduous and frustrating situation. Although baby monitors are extremely critical in alerting your attention to your baby immediately whenever she is crying, it cannot help in translating or conveying why the baby is calling out with wails and tears. Till the time that a baby translator machine is devised, here are some tips that can help in deciphering why babies cry and settle them comfortably. Your baby arrives into this world after having been swaddled cosily in a warm womb for nine months, with food on tap at all times. This brightly lit noisy world is basically traumatic for the baby, and the moment she arrives in this world she has to scream for every need, till the time she figures out human language. However, you, in your exhausted and sleep-famished state are extremely clueless on what each cry means. Is your baby crying for feed? Is she exhausted? Could it be that she is feeling too hot — or too cold? Understandably, you are now grappling with a host of situations at hand without knowing exactly what the issue with your new born baby is. Before you experience a meltdown, here are two important tips that can help in identifying and recognising the baby code and how you can read your baby’s cries effectively. Is it a hunger cry? Crying due to hunger is one of the easiest baby cries to notice. Some babies can last up to 3 hours between feeds, while some others immediately start to get cranky for a meal as soon as their last feed has been through. A hunger cry is often repetitious, and while not as intense as a reflux condition, hungry crying tends to become louder and stronger the more it persists. The last resort of hungry baby is to start crying, so in order to prevent the bawling, begin to look out for suggestive indications. When a baby is hungry, before she begins to cry, you will notice that she wakes up and begins to shuffle and twitch while looking around expectantly. What follows next, is that she will start to put her fingers into the mouth and begin ‘rooting’ — fluttering her tongue in and out and sucking in. Lastly follows the hunger cry. What to do: feed your little one the moment you start noticing the tell-tale signs, or else if it has long passed through, the endless wail can be soothed with a good, satisfying feed. If you notice your baby has been crying in short bursts or at short intervals, for example crying on and off, and that the quality of the cry is wavering between gentle ‘grumbling’ and a high-pitched tone in addition to rubbing of the eyes, the cry could probably be due to sleepiness or tiredness. Sleepy babies tend to make sudden and unsteady body movements while no longer being interested in playing or engaging in any activity. Moreover, at such times they also tend to avoid eye contact, which all points out to the fact that the baby is ready for a snooze. What to do: in spite of feeling sleepy and tired, most children – new-borns as well as toddlers – tend to protest sleep, but immediately fall off fast asleep the moment they are taken for a walk or for a drive. If it is not always possible to go outside, place your baby in her pram and gently try to rock her to sleep.